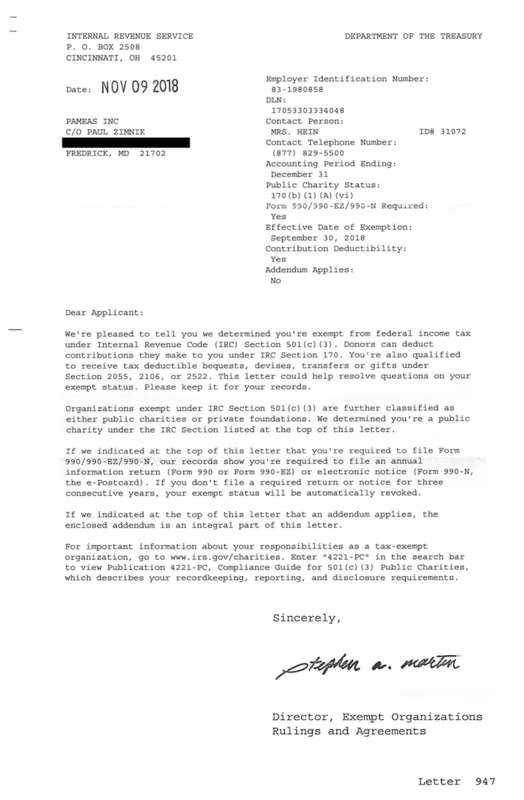 PAMEAS, Inc. (EIN: 83-1980858) was granted its 501(c)(3) Non-profit status by the IRS, effective 9/30/18, with DLN 170533033334048. The PAMEAS complete 1023 application is available here as a PDF download. Please contact us if you have any questions regarding the PAMEAS 501(c)(3) status or to donate to our education programs.